Rose Essential Oil requires approximately 242,000 rose petals to get 5 ml of Rose absolute essential oil. Lemon Essential Oil which takes about 50 single lemons to get 15 ml of Lemon essential oil. Hence Rose is much more expensive than Lemon essential oil. Certified Organic growing requires Third Party assessment, approval and continual monitoring by a registered authority. The farming is generally more labor intensive. Interestingly, the production is where a big difference is made. The plant material is extracted once, without the use of chemicals. There is no follow-up chemical extraction. Non-Organic growing uses pesticides and herbicides to promote plant growth & reduce weeds. There is less labor involved. Processing can produce cheaper oils, due to the fact that once an oil has been extracted - the plant material may be chemically processed 2-4 more times to extract a much poorer quality product. All farming is affected by demand and supply. How much and what quality of a particular plant is available for harvesting and distilling. The weather conditions during growing plant and also at harvest time, Floods, pests, soil quality/regional soil variations, political unrest (war) etc can all impact a crop of plants. The more plant material that is available for processing, generally lowers the price. If there is very little available, the price is higher. There will always be seasonal pricing variables. Essential Oils start with a Farmer. To get from the farmer to you involves a supply chain. The amount of links in the supply chain has a significant affect on the retail oil price. The more people that profit from the selling of the oil along the chain, the higher the price. Three Mamas to you is a Simple structure. 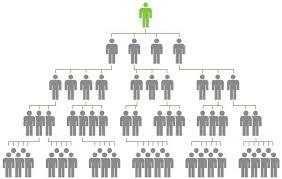 Multi level marketing (MLM) is a multiple-people process, so the essential oil is often priced higher. Everyone needs to get their $ cut.